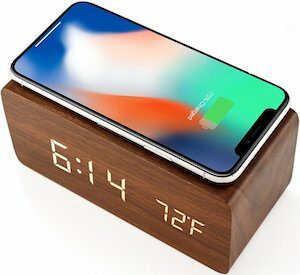 If you want an easy way to charge your phone at night then you should check out this wooden alarm clock with wireless charging build in. The alarm clock looks like really wood and comes in different colors to fit your decor and on the front it shows the time and the room temperature and you can get the display go off to make your room really dark at night. And then there is the top of the alarm clock as that is where you can put you iPhone or other phones that support Qi wireless charging. Give your phone a place to sleep at night right next to you on the night stand on top of this wooden Alarm Clock. If you want to have a lightning cable with you where ever you go so that you can charge your iPhone when ever you want then you need this portable lightning cable key chain from Kanex. 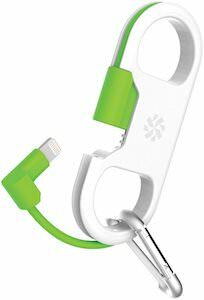 The cable is green and fold around a nice holder that also holds the connectors so that it is protected from harm and it comes with a clip so that you can hang you keys on it or you can choose to hang you charging cable on your backpack. 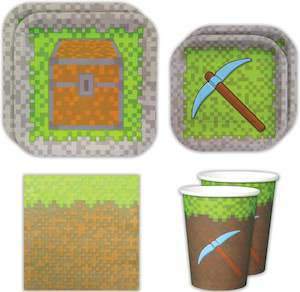 Now you just need a power bank and you are all set to always have power. So get ready by ordering this Portable Lightning Cable Key Chain. If you want a fun USB thumb drive and you like keys then you should check out this key shaped USB flash drive as it is amazing looking and useful. 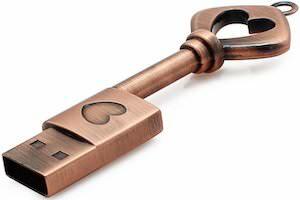 The metal flash drive has a coper color and where normally you find the key part that goes in a door lock you now find a USB connector and besides that it looks like a fun key with a heart on top top and the flash drive part. You can get this fun flash drive in different storage sizes going from 8 up to 64 gb so that you can get the storage stick you really need for you storage needs. So if you need fun storage then come see this Key Shaped USB Flash Drive.